Thank you for your participation in this year’s poll ! 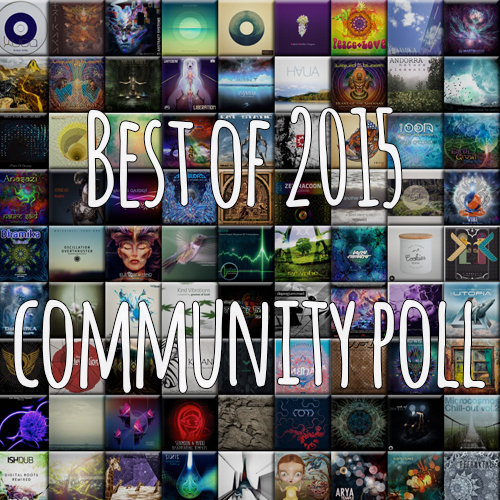 Today, we are happy to start publishing the “best of the year” community poll results. In this occasion we express our gratitude to readers, labels and artists that supported the poll. In order to have more accurate and objective results, we did our best to have as many participants as possible, but we also understand that some of you didn’t have time or desire to participate. We had more than 10’000 persons who opened the page with our “huge and long” poll, and a bit over 360 participants have finalized it. Most of participants were from USA, Israel, France, Netherlands, UK, Canada, Hungary, Germany, Russia and Denmark ! 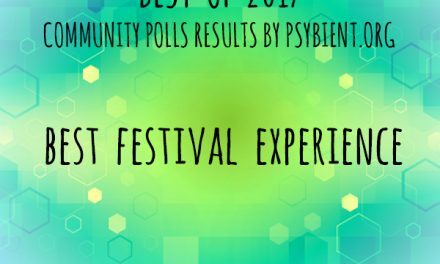 During the next 3 weeks, on every Monday, Thursday and Saturday, we will publish a new “best of” post, each one dedicated to a poll nomination. You are welcome to visit our home page regularly and visit our forum if you wish to discuss the results. Also, as usual on every Wednesday we will continue to publish weekly news with releases and events. 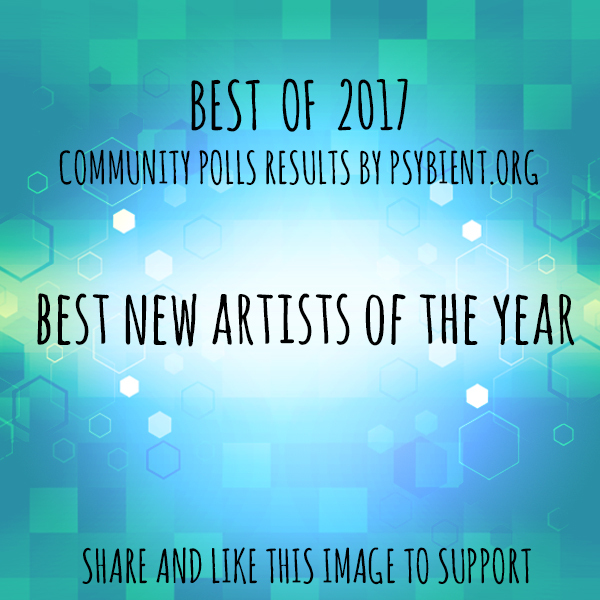 Today we start with the very important category – Best new artist for 2017. 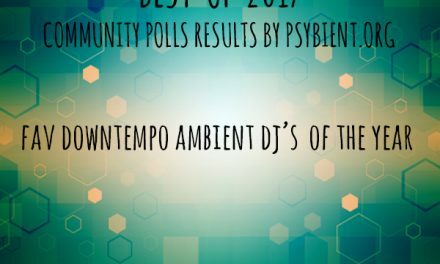 Obviously, our votes concern only “psybient, chillout, psychill, ambient, psydub, dub, psystep, downtempo, idm” related music. These category vote results are a bit tricky, this question was optional and answers were in free text mode. Congratulations and inspiration to our “winners”. The best prize for them will be your attention to their art. We appreciate your visit – Have a nice day! How can be Mobitex the best new artist in 2017 if he started his project already in 2014? 2) answers were in free text mode. 3) we didn’t had time / energy to check and search each artist one by one. 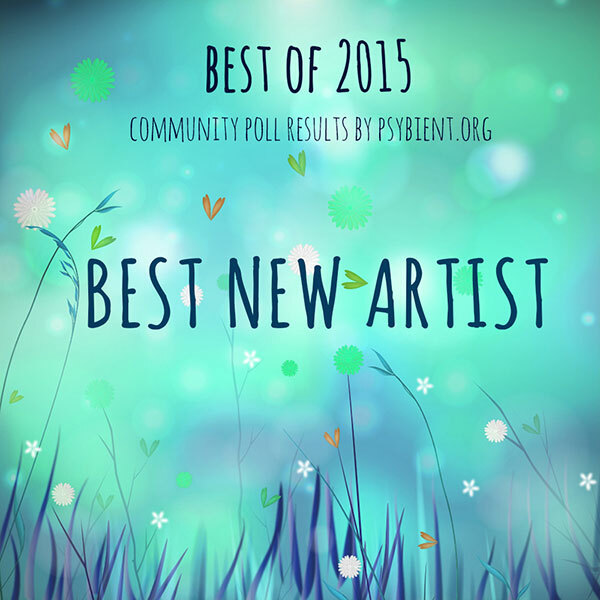 as a results => a lot of well established artists have been submitted. We tried to remove some of “older” ones for results, however as you noticed we still have some of “not so fresh” artists in results. SO technically it is not “new” is more like “recent”. Sorry for inconvenience, i don’t have magic solution to not have this situation. If so, this is absolutely lazy and unprofessional blog writing. Which you can not do in your position in this scene. Do not do this if you do not have the time and energy that this work requires. Not to mention that this is still unfair with the real new artist of 2017 (no, i am not one of them). At least rename the article. i never said this is professional blog. i invite you to join me and spend some of your free time doing the verification of this kind or for other content creation. Honestly, i spend each day 4 hours to make this site running and to get to professional level i would need assistance. Join and be volunteer or donate some cash and i will hire an assistant. This Pallagron guy above is clueless, thinks this list should be some sort of thesis on psybient, gimmie a break. What you (Gagarin) are doing here with this content, the site and forum is fantastic. It’s a miracle we even have guys like you willing to dedicate time to the small and unknown genre of Psybient. Nothing but respect, keep it up!